Below are a number of websites you may use to help you collect evidence. Your goal is to find an example of a way that that your chosen civil rights leader helped gain education, social and legal equality. You may use these websites and/or find on your own. February 26, 2013 10:06 am / 3 Comments on Pre-reading Exercise. GROUP A: You are a women that works both in and outside of the home. You give all of your earnings to your husband and pay taxes to the government. You are NOT allowed to vote because you are a women. 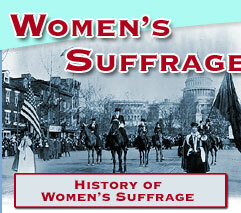 You will research and write on opinions IN SUPPORT of women having the right to vote. GROUP B: What is wrong with your fellow women folks? They know a woman’s place is in the home. To place the right to vote over her duties as a wife is irresponsible. You will research and write on opinions AGAINST women having the right to vote. GROUP C: You and your wife work in harmony. She has influence in the family setting and should have a say-so in what happens to our government. You will research and write on opinions IN SUPPORT of women having the right to vote. GROUP D: The right to vote has reared it’s ugly head again! A woman is a decorative accessory for a man and needs to remember her place in society. You will research and write on opinions AGAINST women having the right to vote. Sorry about the tardiness of this post. I did not have access to internet for the past few days. 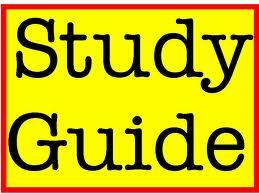 Any questions you have about the Study guide may be asked here. Students, do not be afraid to answer a a teammates question. Later tonight I will check back. What did it not do? (3) Battles and why they are important. Write a letter to a teammate describing (3) major battles in the civil war. Also be sure to describe the South’s Surrender. Make sure that you write 15 complete and descriptive sentences. What are our classroom expectations? Why are they important? Write 12 complete and concise sentences explaining this. If you are doing this in your journal: Explain what the classroom expectations are and why they are important. You must write 12 complete and concise sentences. Also make sure that you skip lines and circle the periods. What new technologies were used in the Civil War? How did they help each side? Besides mini balls, what were other reasons for the high mortality rates? Be sure to make your answers high quality and thoughtful.